Do you ever feel too busy, too tired, or too distracted to pray? Are you unsure how to pray or fearful to pray aloud in a group? You are not alone! All women of Carmel are invited to join together for regular, informal prayer gatherings to help us overcome some of these fears and doubts and learn more about prayer. 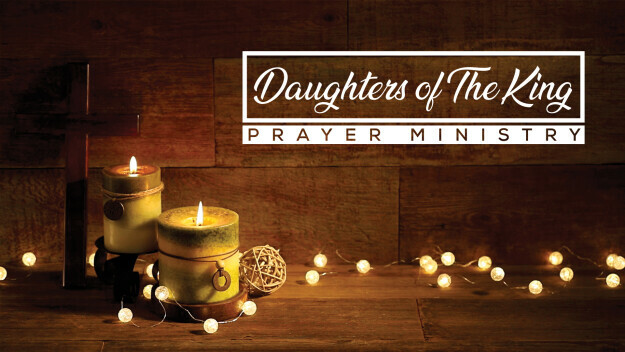 Join Carmel's Daughters of the King - fellow women seeking to grow in the area of prayer - in the Carmel Prayer Room for our monthly prayer gathering the 1st and 3rd Tuesday from 7:00pm - 8:00pm. No need to sign up! Just come with an expectant and teachable heart!